The cat command in Linux allows you to concatenate files and display the output to the standard output; in most cases this is a screen. 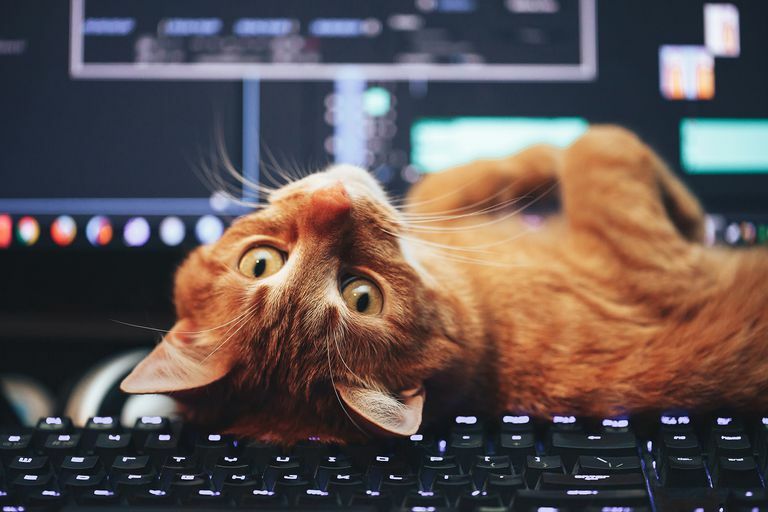 One of the most common uses of cat is to display a file to the screen and also to create a file on the fly and allow basic editing straight at the terminal. You need to replace <nameoffile> with the name of the file you wish to create. When you create a file in this manner, the cursor will be left on a new line, and you can start typing. This is an excellent way to start a text file or to quickly create a test data file such as a comma delimited file or pipe delimited file. To finish editing the file press CTRL and D.
This lists all the files in the current folder, and you should see your new file, and the size should be greater than zero. If the file is very long, then it will scroll up the screen very quickly. Sometimes when parsing data files, programmers might come across an issue because there are hidden characters at the end of lines that they weren't expecting such as spaces. This prevents their parsers from working correctly. This is just one reason to show an end of line character so that you can see if there are blank characters. When you are showing the contents of a file using the cat command you probably don't want to see when there are loads of consecutive blank lines. The following command shows how to reduce the output so that repeating blank lines are omitted. To clarify this won't hide blank lines entirely but if you have four blank lines in a row, it will only show one blank line. If you are displaying a file that has tab delimiters, you won't ordinarily see the tabs. The following command shows ^I instead of the tab which makes it easy to see them assuming your file doesn't contain ^I in it anyway. Ok, so technically this isn't the cat command, it is the tac command, but it essentially does the same thing but in reverse. That is pretty much it for the cat command. It is useful for creating files on the fly and for displaying the output from files, and of course, you can use it to join multiple files together. Example Uses of the Linux Command "less"
What Is the "xargs" Command?